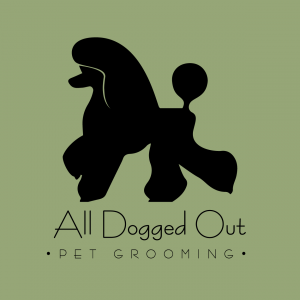 All Dogged Out Pet Grooming – Dog Groomers Association of Western Australia Inc.
Hi, I'm Kylie, welcome to All Dogged Out Pet Grooming. I own a home based salon located in Bibra Lake, Western Australia. I have obtained my Certificate III in Companion Animal Services and I am an Industry Accredited Dog Trainer. I am also part of the Dog Groomers Association of Western Australia and the Association of Pet Dog Trainers Australia. I regularly further my education by attending industry seminars, workshops, and webinars. I offer a one on one service by appointment only, which means each of my canine clients receives an individualised service without the hustle and bustle of a busy salon. All Dogged Out Pet Grooming is a low-stress salon where I only use reinforcement-based training techniques and gentle handling. All the products used in the salon are SLS, SLES, and paraben free. I do not use any harsh chemicals on my canine clients. Special requests are welcome -please ask when booking so I can allocate additional time. Please note that I am currently fully booked and cannot take on any new clients. If you would like to go on my cancellation list please send me a message.